No one can deny the importance of having a balanced diet, not only for human beings but animals as well. Usually, a dog would eat any tasty treat you offer it, but your dog requires a healthy diet filled with the correct amount of Carbohydrates, Protein, and Fats. Each of these nutrients plays its vital role in your dog’s health. Proteins, carbohydrates, and fats are all sources of energy. They help your dog perform the routine activities and stay active. Amino acids are the building blocks of cells, help build muscle and strengthen hair & nails. They also assist in the development of the metabolism and immune system. Fats are needed to support the cell functions, and to help keep the dog’s skin-coat healthy. Fatty acids are essential as they prevent vision problems. Carbohydrates act as a source of glucose for the dogs, while the latest researches show that dogs don’t necessarily require carbohydrates in their diet, they can still benefit from carbs. Minerals such as Calcium and Phosphorus are essential as they strengthen bones. Vitamin K, B6, B12, riboflavin, etc. are also a necessity. 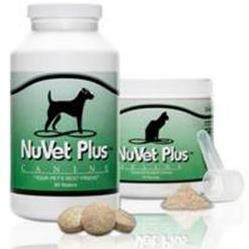 Learn more about canine nutritional needs. Since there are so many brands available in the market why is there a need to cook food at home? That is a question that might pop up in many dog parents’ minds. Well, there are various reasons, firstly because although the ingredients listed on the packet seem like the ones that are important, the reality is far from this. There are dog foods that contain fillers such as rice bran, corn bran, soybean & oat hulls, dyes, artificial preservatives and flavors which don’t contribute anything to your dog's health instead prove to be harmful. As a parent only you can understand your fur baby’s nutritional needs entirely. If you cook its meal yourself; you can add all the necessary ingredients in appropriate amounts and can tailor the food to your dog’s likes and requirements. Small dogs have high metabolic rates and can burn through a meal quickly, therefore require a high amount of calories. A toy breed dog needs about 40 calories/ pound which is twice as much as the requirement of its bigger counterparts, i.e., 22.5 calories/pound. They also can’t eat enough at once to fulfill their needs because of their small size hence their food has to be cooked with great care and consideration. They require protein and fat for energy, carbohydrates, and vitamins. Their diet needs to contain more calcium and phosphate as well. Small Dogs need to eat twice or thrice a day, but since it is easier to overfeed them, you need to plan the diet accordingly and make sure it fulfills the nutritional requirements. The solution to this is preparing homemade food and monitoring your dog’s weight regularly. You can consult the vet and make a diet plan with them. Eggs should be a part of a small dog's homemade diet. Undoubtedly eggs are a rich source of protein and calcium so they should be a part of your dog’s diet. They also contain riboflavin and Selenium. 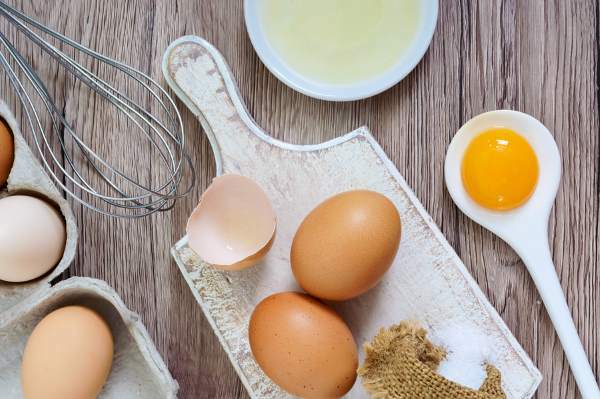 However, the critical thing to keep in mind is that the eggs should never be fed raw as that can cause biotin deficiency. The easiest way of incorporating egg is, in the boiled form as that is the only method that requires no hassle. But if you are willing to afford the trouble you can even opt for scrambled eggs as part of your small dogs homemade food. Fish is a significant source of protein, Vitamin D, and fatty acids and should be added to small dogs' homemade food. 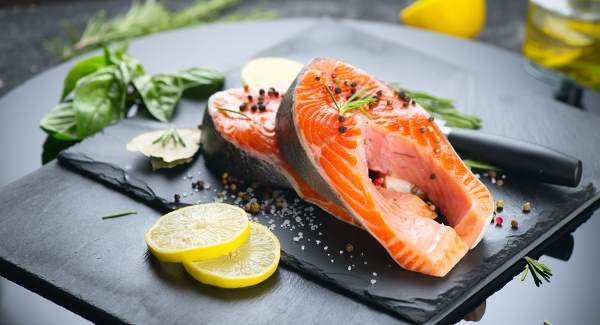 Fish is a significant source of protein, Vitamin D, and fatty acids. Dogs can be fed fish like Salmon and other ocean fish that are short-lived. Other types such as Tuna may contain a significant amount of mercury. However, even for fish, the proportion added to your dog’s diet must be controlled. Furthermore, buy boneless fish and even then assure that there are no bones present as they can be dangerous for dogs. Since dogs are carnivores, they do require meat. Add a variety of different types of meat to your small dogs' homemade food. Since dogs are carnivores, they do require meat. Dogs can be fed beef, chicken or pork or more exotic meat sources such as bison. 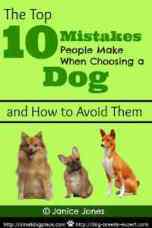 Different people have different opinions on whether we should feed fresh or cooked meat to our dogs. Some say that uncooked is beneficial especially for small breeds. However, most vets and even the FDA disagrees, so it's better to give your dog cooked beef. Add organs such as liver and kidney as that creates the perfect combination of nutrients. 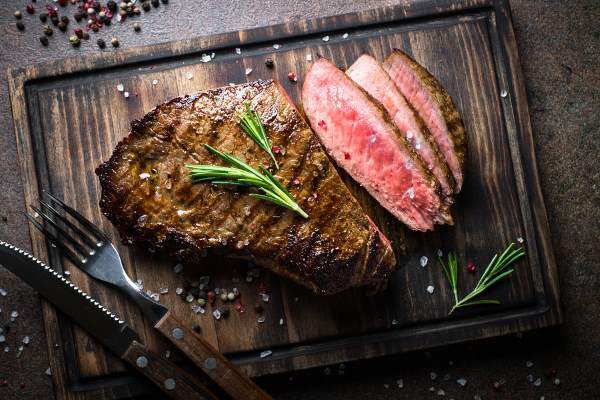 One more thing to bear in mind is that you should feed grass-fed beef to your animal and not grain fed as the latter contains hormones that are harmful. Another thing that most people don’t realize is that a grain fed animal will add grains to your dog’s diet. If you want a grain free option, you will still get the grain through the meat even if you didn’t add it yourself. There is confusion on whether or not pork is good for dogs. Well, pork isn't harmful, but it should never be fed raw or undercooked due to the presence of a parasite which can cause infections. Organic chicken is also a preferred meat and the second choice after beef for most pet parents as it is a source of protein and at the same time doesn’t have high calories. It can be boiled and added to the meal to enhance the flavor. Chicken is also a source of essential fatty acids such as Omega 6. But keep in mind that keep the portions appropriately sized for your small dogs, i.e., neither tiny (as it can cause your pooch to gulp it and would pose the risk of choking) nor too big. Yogurt can be an excellent source of probiotics for your small dogs' homemade food. Yogurt is one of the cheapest sources of calcium and protein but it can causes gases or diarrhea as well so you would have to be careful. If yogurt does suit your pooch, then make sure you buy plain, low fat or no fat yogurt. Flavored or sweetened yogurt needs to be avoided entirely, primarily if it contains artificial sweeteners as they can be toxic to dogs. 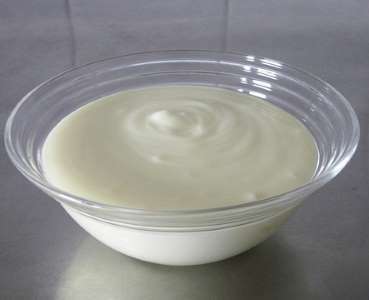 Also look for yogurt that has live bacteria because they can act as probiotics and can help the dog digest the lactose. It might seem surprising, but dogs can eat green vegetables such as Spinach, Asparagus, and Green beans, vegetables that some dogs love, but not all. Many don’t like the taste, just the same way we don’t want greens. Greens, however, are rich in nutrients. Asparagus contains the vitamins K, A, B1, B2, C and E along with the minerals iron, copper, manganese. It can be given to your pup in small quantities and can be incorporated into their food, lightly cooked. The only catch is that asparagus is a little hard to digest, so cut it into small chunks. But your dog might not smell that good after his meal. Green beans are also super nutritious and are a source of Vitamin C, K, and manganese. Make sure you give your dog fresh or canned green beans with no added salt. Broccoli is rich in Vitamin A, C fiber, calcium, beta-carotene, and folate; you can feed it either in raw or cooked form. A good tip for feeding veggies is that you can steam them and drizzle a little Flaxseed oil. 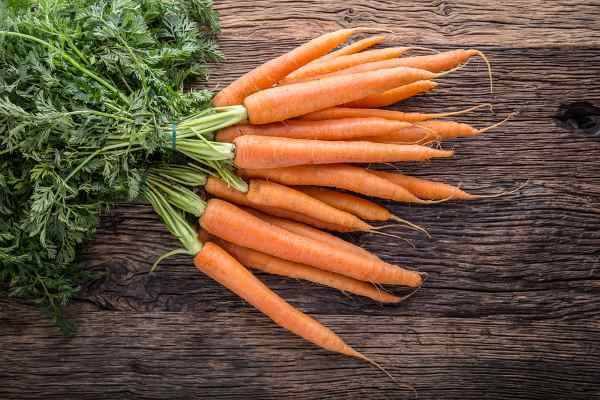 Carrots are full of vitamins with added fiber and low in calories, an excellent and essential addition to a homemade food diet. Carrots are full of vitamins with added fiber and low in calories. Remember since they are hard; cut them into small chunks to avoid the danger of choking especially for small dog breeds. Chewing on hard substances helps clean dog’s teeth and dogs do love to chew on raw carrots. Other than fresh you can feed baked, boiled or roasted carrots. Fresh carrots make an excellent choice as a dog treat. 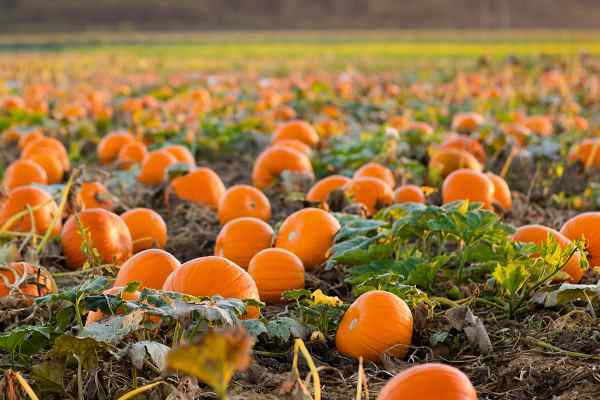 Pumpkin is rich in fiber and beta-carotene and improves digestive health. Add a healthy helping of pumpkin regularly to your dog's diet. Pumpkin is rich in fiber and beta-carotene. 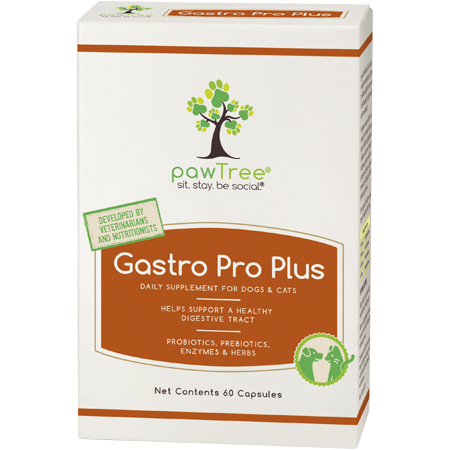 It is particularly useful for digestion and helps prevent and reduce constipation and diarrhea in dogs. Canned or cooked pumpkins are good options; the puree can also be added to the dog’s food directly. But don’t give too much of it, a few teaspoons or tablespoons according to the weight and age of your dog would do. When adding pumpkin, be sure you are purchasing a pure pumpkin and not pumpkin pie mix that normally contains extra sugar and spices. Apples and other fruits make excellent additions to your small dogs' homemade diet. Are fruits good for dogs? You might be wondering the same, right? The answer is Yes! They are a great way of energizing your furry best friend’s diet. 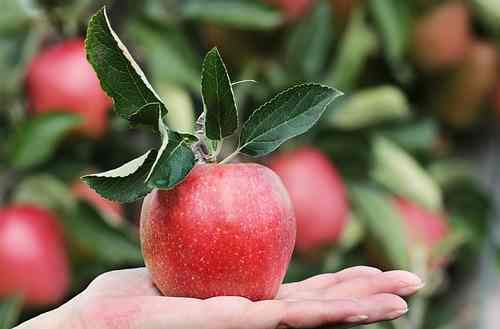 What is important is to remember that all fruits are not beneficial. While some are rich in vitamins and minerals, others can be toxic as well. Melons are an excellent source of Vitamins A, B6 & C. Blueberries are rich in fiber and antioxidants due to which they can prevent cancer and heart diseases in dogs. Apples are a low-calorie source of Vitamins A, C, and fiber, and also help keep your dog’s mouth clean. Make sure you remove the seeds out of the core as they can be hazardous. Bananas are also a superfood containing potassium, vitamins, biotin, fiber, and copper; the only drawback is their high sugar content. Hence bananas should be given as a treat. Don't feed grapes or raisins to your pooch. Citrus fruits are not well tolerated in dogs and aren’t really necessary. Citrus is full of Vitamin C which people need, but dogs and cats can synthesize their own Vitamin C, so they have no need for it in the diet. There is a debate raging about the need to supplement a small dogs homemade food diet. This is related to the worry that many people have about offering a diet that is completely balanced and nutritionally complete. 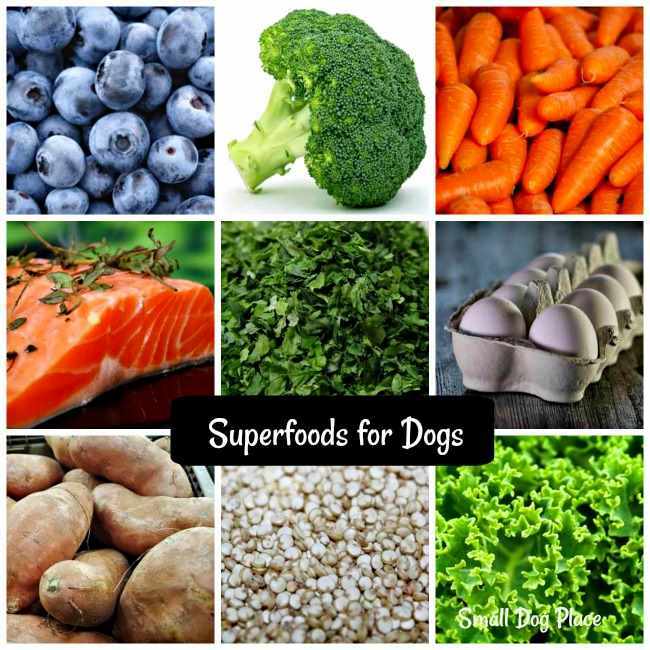 Just like in human diets, dogs will thrive on a diet that contains a large variety of different foods so that over the course of a week or month, the dog is receiving all the necessary vitamins, minerals, trace elements needed for optimal health. Unfortunately it is not always easy to do this either for ourselves or for our dogs. Supplementation is often necessary to assure a good quality diet. Here are a couple of options you might want to consider. The following suggestions are added by Small Dog Place as a way to round out a dog's homemade diet Always check with your veterinarian prior to switching to a homemade diet or adding supplements. 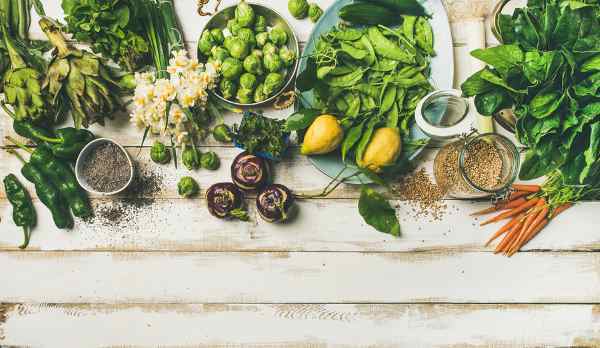 If you are wondering what we mean by superfoods, may we suggest you check out this article for more information. From Small Dog Place: Here are a couple of supplements that have proven very helpful to us. These supplements are like spices that add interest, flavor and best of all vitamins and minerals to your dog's food. 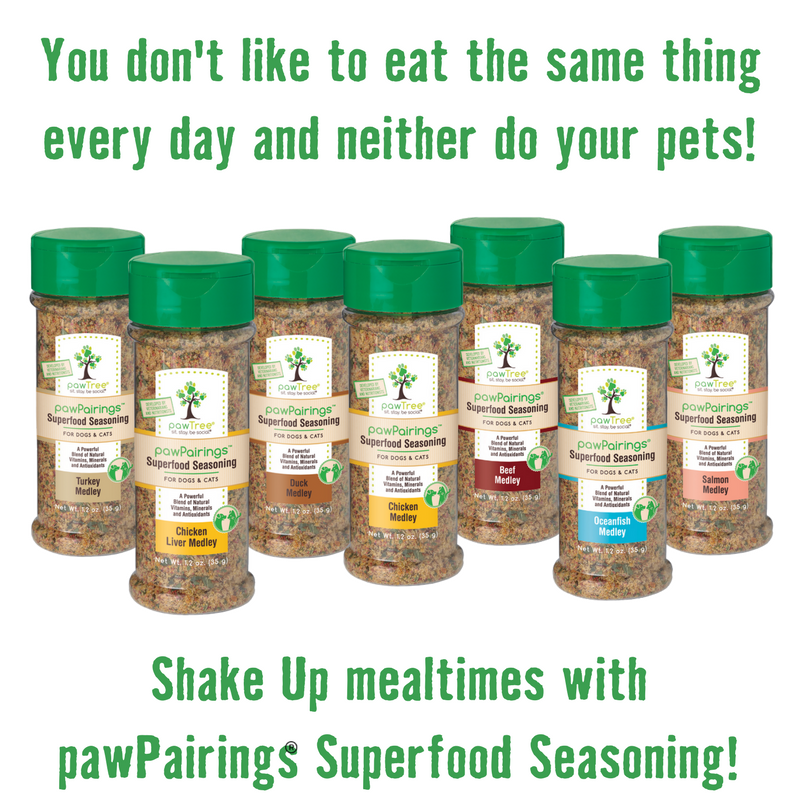 Just sprinkle them over your dog's food and they will deliver additional flavor but also necessary nutrients your dog's need. Click on the image below to learn more about this product. Sometimes, the food we feed our dogs do not address all of their nutritional needs. When there are health related problems, an addition to their diet can help and even eliminate some of their distress. 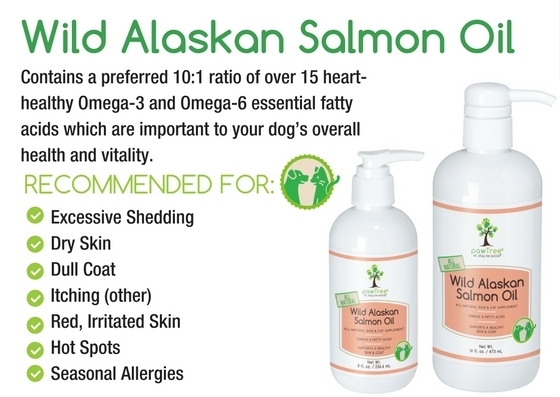 Salmon oil is an example of a high quality source of Omega 3 and Omega 6 Fatty Acid and can make a big difference in dogs that have skin problems. Click on the photo above to learn more. 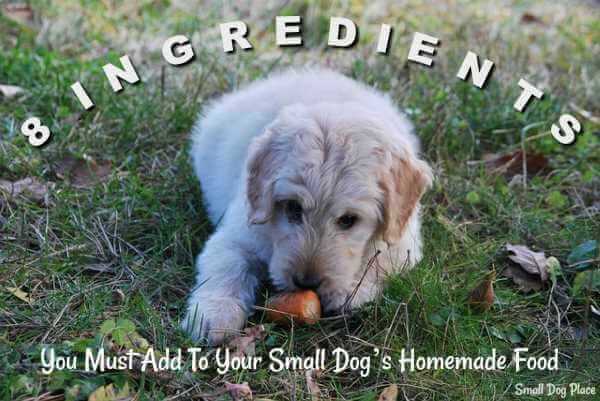 Is Your Homemade Dog Food Diet Nutritionally Complete?